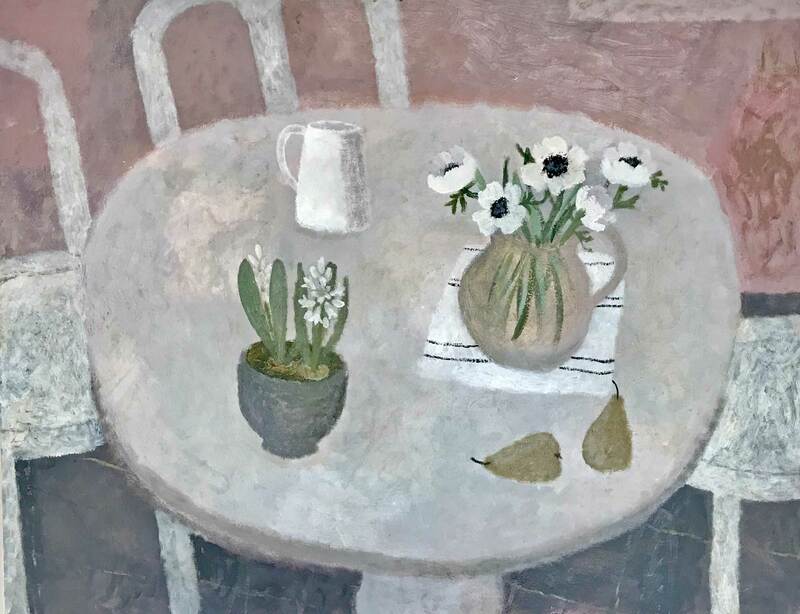 “Sarah Bowman’s paintings are much sought after and she has gained widespread recognition, including showing at the Royal Academy Summer Exhibition and gaining the Mary Fedden award at the Royal West of England Academy. Having studied at Falmouth Art College, she has in the past been firmly linked to the St Ives School. “Equally important to her development was a trip to Tuscany in her late teens to see the renaissance fresco paintings. The use of the trompe l’oeil device of the window looking on to a distant landscape and a foreground narrative framing a distant view, a delight in the primitive and unscathed landscape, as well as the dry scumbly texture of her paint, even tonal values, and the gentle muted palette, occasionally illuminated by a flash of rather post-renaissance electric pink, purple or blue, all reflect this influence. 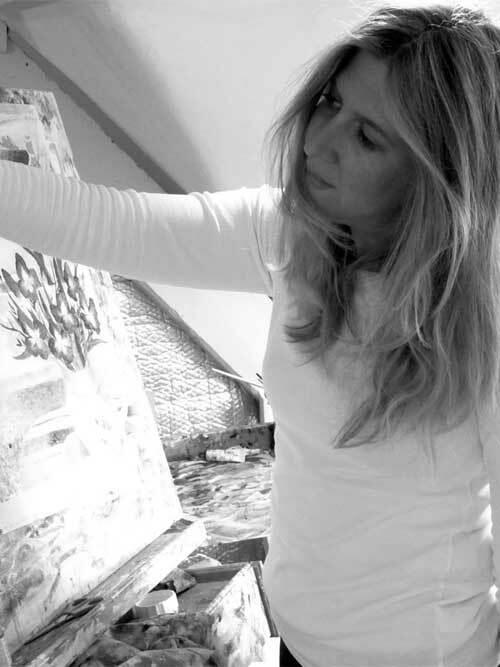 “She paints intuitively, her landscapes are derived from memory, they are an amalgamation of places she has visited, Cornwall, Devon, the Scilly Isles, Andalucia. She thrives on exploring new locations to paint, searching for still-life and natural objects to depict.